Find a great selection of smoke/Tinted lens wholesale safety glasses now at CTS! Protect your eyes, and save money when you buy them wholesale here. Our safety sunglasses are made of impact resistant materials, and offer the best protection! All safety glasses are sold by the dozen. 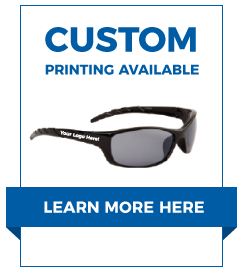 For our entire line of impact resistant safety glasses, click here.